This makes perfect sense good luck in your quest. I have a set of grips on the way from Marschal! It's all coming together, now to find an engraver. Good for you! What type of wood did you choose? He does very nice work. Hopefully, the plain grips won’t take as long as to get to you as checkered and logo ones. 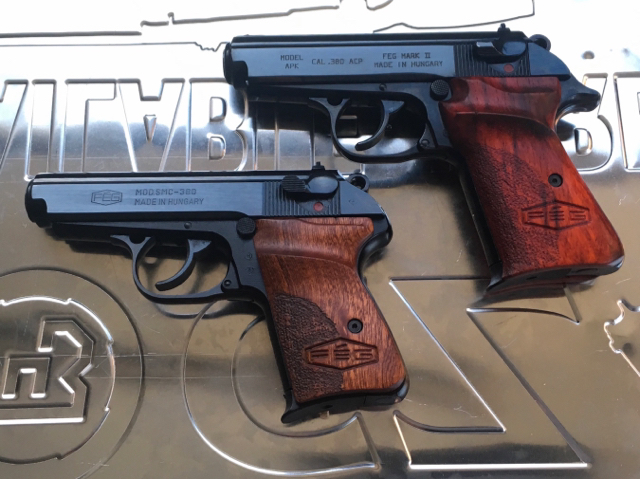 My last set for the CZ 75 took nearly four months in the summer of 2018. These are zebra wood done with a red finish that happened to be ready for shipping. 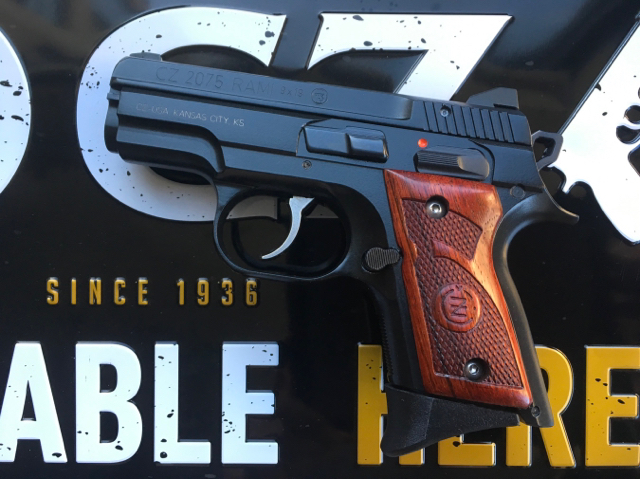 Nice looking grips! I love the shape he uses. I ended up getting Sapele, smooth and flat with red lacquer. I'm going to see about sending him some wood in the future for another set. I have this bookmatched curly Koa sitting here waiting to be beautified. Depending on what kind of engraving work he can do, he may be the engraver aswell. Marschal... Sapele on the SMC and Padauk on the Mark II. Both are oil finished. I don’t know about the Hungarian postal system but customs can be a PITA in some of these countries with sending parcels. Good luck with your projects. Oh my, that padauk looks great! I waffled over that and Sapele. I may have chose wrong lol. How often do you oil them? Since I can be away for a few months at a time, they don’t get oiled often but that hasn’t seem to be an issue. The Padauk’s redness has since toned down over time into a brownish red. Okay, they sure are nice. I can't wait for mine to come. Desert Ironwood would be nice if someone made them at a reasonable price. Nice! I've looked at/Googled older post and images and it seems anyone that made them is no longer doing it. Yep, unfortunately that's the problem with most of the makers. Anyone know a good engraver in the states? For those of you that have not tried any of these after market grips, please remember that any wood grips (except for Hakan's and only if you ask for it) will add to the width of the frame, which is already wide. 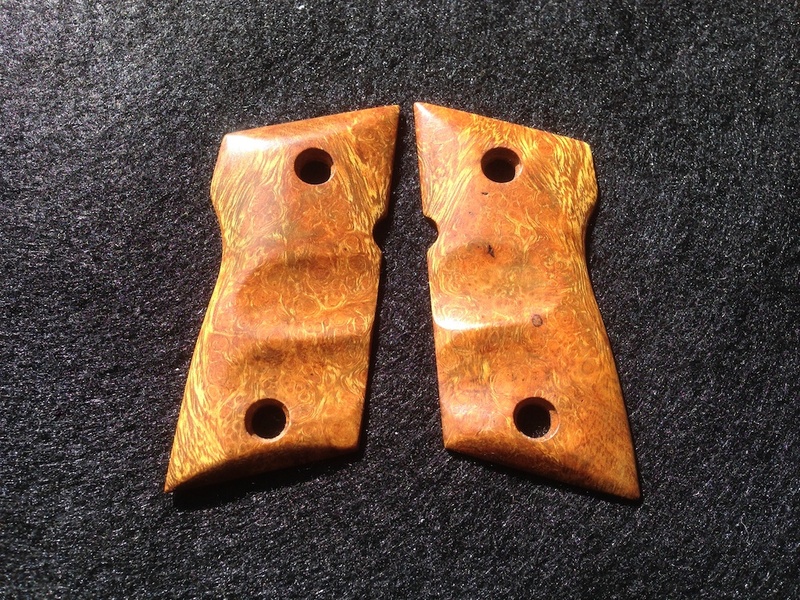 Grips from Dennis Marschal are gorgeous, but add substantial width and so do the wood grips from Gripsforyou.net. I know no one asked me, but I prefer rubber grips.